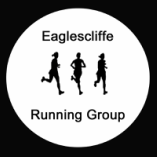 "Finding Eaglescliffe Running Group and fhitdoll has meant finding myself again! It has given me new confidence in not only my body, but my mind and what I’m capable of achieving! I can’t believe when I look back now that I nervously went along to a beginners group not knowing anyone and having never ran. I now know I had little to be nervous about! Straight away I was welcomed by Kelly and made to feel at ease to take things in my own time. Now I’m running 5 and 10k regularly and have made a whole new group of friends! Not only have I found a new enjoyable way to keep fit, but a whole new mindset and outlook on life. I especially enjoy the fhitdoll classes, they are the perfect complement to running and have totally transformed my shape! I’m now looking forward to carrying on the rest of my journey and beating yet more pb’sand blasting off more pounds and inches! Thank you Kelly and all the members of running and fhitdoll, it’s an amazing support network, and I love being part of it."